Larger Project 8-3, Master Bath Remodel » Roger Perron Inc. 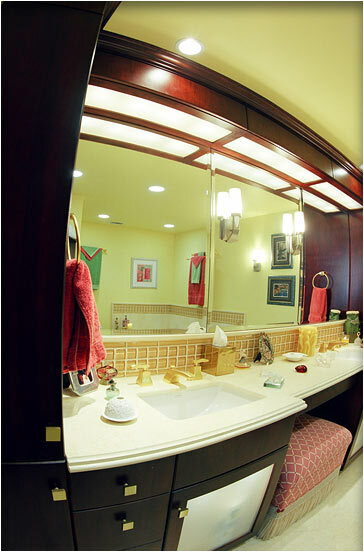 The master bath remodel was a reconfigured floor plan design. The cabinets are cherry and mahogany, and the counters are granite with glass tile backsplash. The mirrors are sectional and beveled. The obscure glass doors with lighting are a theme used throughout this condominium remodel.